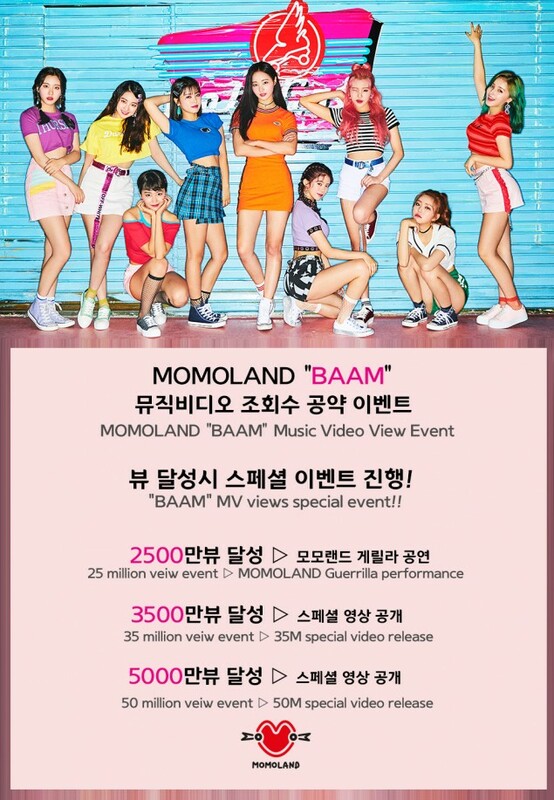 Momoland�met their fans through a guerilla concert. The girls had promised a guerilla performance if their MV for "BAAM" reached over 2.5 million views on YouTube. With the MV well over that viewcount, the girls headed over to Bundang's AK Plaza�at 5PM KST on the 8th to keep their promise.